Indian pharmaceutical sector industry supplies over 50 per cent of global demand for various vaccines, 40 per cent of generic demand in the US and 25 per cent of all medicine in UK. India contributes the second largest share of pharmaceutical and biotech workforce in the world. 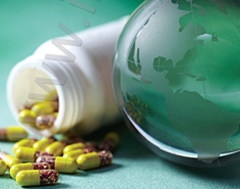 The pharmaceutical sector in India was valued at US$ 33 billion in 2017. India’s domestic pharmaceutical market turnover reached Rs 129,015 crore (US$ 18.12 billion) in 2018, growing 9.4 per cent year-on-year (in Rs) from Rs 116,389 crore (US$ 17.87 billion) in 2017. In February 2019, the Indian pharmaceutical market grew by 10 per cent year-on-year. With 71 per cent market share, generic drugs form the largest segment of the Indian pharmaceutical sector. Based on moving annual turnover, Anti-Infectives (13.6%), Cardiac (12.4%), Gastro Intestinals (11.5%) had the biggest market share in the Indian pharma market in 2018. Indian drugs are exported to more than 200 countries in the world, with the US as the key market. Generic drugs account for 20 per cent of global exports in terms of volume, making the country the largest provider of generic medicines globally and expected to expand even further in coming years. India’s pharmaceutical exports stood at US$ 17.27 billion in FY18 and US$ 15.52 billion in FY19 (up to January 2019. In FY18, 31 per cent of these exports from India went to the US. The ‘Pharma Vision 2020’ by the government’s Department of Pharmaceuticals aims to make India a major hub for end-to-end drug discovery. The sector has received cumulative FDI worth US$ 15.93 billion between April 2000 and December 2018. Under Budget 2019-20, allocation to the Ministry of Health and Family Welfare increased by 13.1 per cent to Rs 61,398 crore (US$ 8.98 billion). Indian pharmaceutical sector is expected to grow at a CAGR of 15 per cent in the near future and medical device market expected to grow $50 billion by 2025.